Partnering with a leading healthcare provider such as Canon under the umbrella of a Managed Equipment Service partnership enables you to focus on delivering the best patient care while we manage your equipment with the highest standards of quality and efficiency at fully projectable cost. Imagine the convenience of one reliable partner covering all your medical equipment needs. From pro-active maintenance to servicing, from procurement to decommissioning and replacement – as a full-service provider we will manage all aspects of your medical equipment under the MES agreement. A central helpdesk dedicated to your facility will provide continuous support and handle all service calls quickly and efficiently. Maintaining a large equipment park can be challenging. In an MES partnership we take on this responsibility. We guarantee uptime and service schedules under strict Service Level Agreements and, in accordance with our “Made for Life” promise, we make sure your equipment is replaced timely to best meet your clinical needs at all times. A Canon MES is vendor-independent. 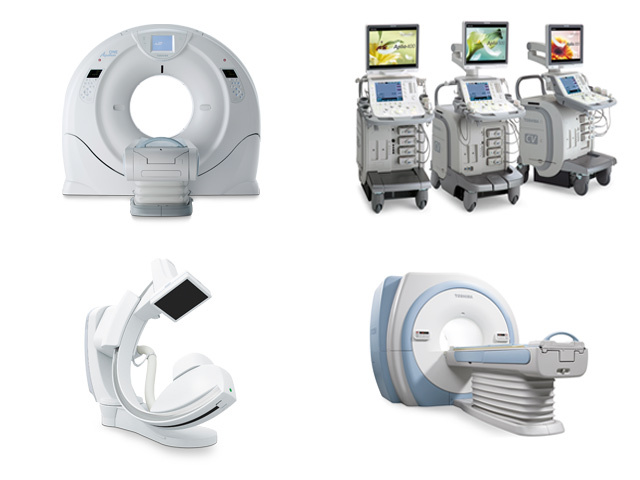 Although we offer a wide range of premium performance imaging equipment, we provide our clients the freedom of choice to ensure you will be working with the equipment that suits your clinical needs best. In case these needs change, you can amend your equipment plan at pre-agreed service fee adjustments.